It's time to celebrate Dr. Suess' birthday! How is your school celebrating? At Lucille Roybal-Allard, we have events every day such as twin day and crazy sock day etc. We will also have a Scholastic book fair all week. Kids are so excited. Then on Wednesday, we will be hosting a Family Literacy Night. One of my students, Marissa, was chosen to read for the student author festival!! 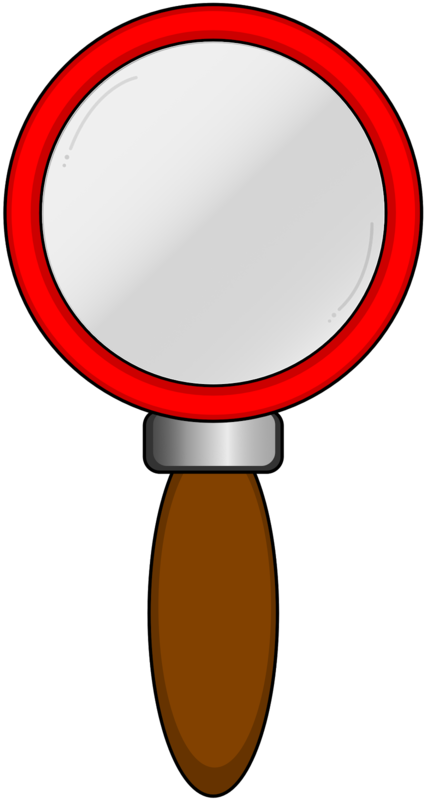 Teachers, also, host families as they read them a great book and do an activity with them. I'll be reading Pop! 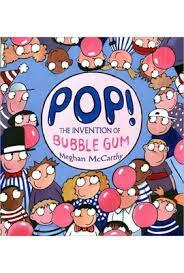 : The Invention of Bubble Gum by Meghan McCarthy. Check out her website here. Then we'll be testing out different types of bubble gum: Testing how long flavor lasts, which is most liked and which makes the biggest bubbles. It'll be fun! Baseball, chiclets or double bubble? Which has the longest lasting flavor? Who can blow a bubble at all? Who can blow the biggest bubble in your family? How long can you stretch it? You can get the whole unit here. What's your favorite Dr. Suess read aloud? 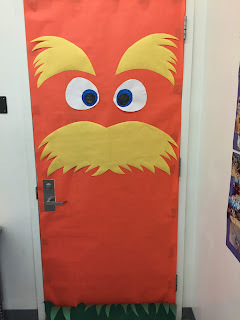 Mine is hands down The Lorax. I love the environmental message. You haven't read it?!? Whaaaat? the Once-ler has arrived at a beautiful valley full of truffula trees, brown bar-ba-loots and swomee swans. However because of his greed and carelessness, everything is destroyed. He tells a passing kid his story and passes him the very last truffula seed. Here's the original version from 1972 which I found on YouTube! Take your NEA pledge here! Happy Read Across America Week!